...It is surprising how often the covenants in Scripture are mixed and matched by Christians without much apparent thought as to the parties involved or the purpose for establishing them. It is little wonder that there is such confusion as to what exactly the New Covenant (NC) is and what its relationship is with what is now known as the Old Covenant (OC). Scripture says that the OC law is valid but only "if one uses it properly" (1 Tim 1:8). The reason the preceding verse says that many of those who want to be teachers of this OC law are engaging in "meaningless talk" is that they are attempting to present that law as it was delivered to ancient Israel and not as it should be "properly" presented under the NC by which it would then conform "to the glorious gospel of the blessed God, which he entrusted to me" (v.11). Examples of this extend through such contentious issues as how does the Sabbath, which is an eternal command, relate between the OC and the NC; or are the Ten Commandments (10C) binding upon Christians today; or should believers eat pigs; or are ministers or church attendance really necessary now that the curtain has been opened; or I thought all I needed to do was profess faith in Jesus and I would be saved, and now I am being told that I was under some kind of covenant out of which God expected something from me. Jesus confronts the human tendency to mix the attractive aspects of different ideas. Historically, mankind is inclined to adhere to the familiarity of tradition rather than to cling to the truth, regardless as to whether or not it is considered new or old. In the synoptic Gospels, this issue is directly addressed by Jesus and recorded by the authors. Specifically, Jesus was questioned about the conservative practice of fasting from which he blatantly declares the incompatibility of different religious systems. He told them this parable: "No one tears a patch from a new garment and sews it on an old one. If he does, he will have torn the new garment, and the patch from the new will not match the old. And no one pours new wine into old wineskins. If he does, the new wine will burst the skins, the wine will run out and the wineskins will be ruined. No, new wine must be poured into new wineskins. And no one after drinking old wine wants the new, for he says, the old is better." The "new wineskins" reference the "New Covenant in my blood" of which Christians memorialize and internalize every time they celebrate Communion by drinking from the cup that represents the "new wine" in the shed blood of Christ upon the cross (Lu 22:20). The issue is not in determining if something is new or old but in syncretizing aspects of religious systems that were not intended to be combined. This is also not an issue regarding the content--the wine, for when it is being poured in, it is at that moment new--but rather the appropriateness of the "skins" at the time the new wine is ready to be contained. If one persists in attempting to mix the two, it will "burst the skins," and everything will be "ruined." It is natural to reply to the obvious with "Don't we know that?" but when God commands Jeremiah to tell the people of God that "every wineskin should be filled with wine," he is making the point that what his people have taken for granted will be for their drunken destruction (Jer 13:12-17). They thought they understood God's decrees, as many today would naturally claim, but when absent of transformational evidence, it is just an empty wineskin. God's appeal is that we "hear and pay attention, do not be arrogant [thinking we know everything], for the Lord has spoken" (v.15). It is imperative that we understand to the full the covenant to which we are bound to our Creator. Through the prophet Habakkuk, God curses deceivers by saying, "Woe to him who gives drink to his neighbor, pouring it from the wineskin till they are drunk, so that he can gaze on their naked bodies" (Hab 2:15). God pronounces a curse upon those who misuse attractive resources for their own purposes, whether that be serving wine to others in order to lower resistance to sin or even using the wineskins of divine covenants outside of the purposes intended by God in what Paul denounces as "peddling the word of God for profit" (2 Cor 2:17). Whenever modern preachers misuse the OC--let alone misuse money, violate positions of influence, or prey upon the fears of God's children--they are at direct risk of falling under this woe. Again, Scripture declares that even "when the old covenant is read," and the truth revealed through the NC Gospel is "veiled," God expects that "we do not use deception, nor do we distort the word of God" (2 Cor 3:14, 4:2). 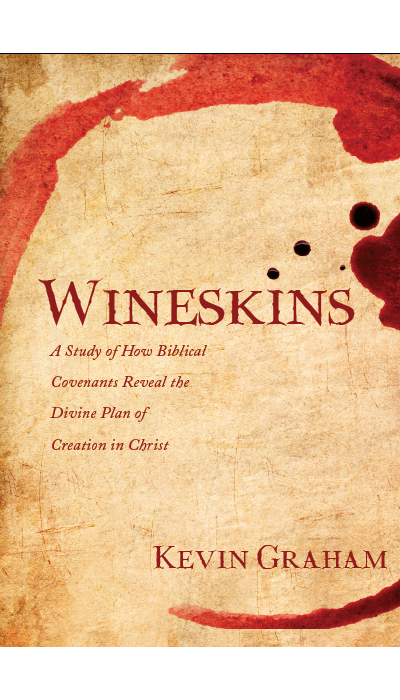 As the following evidence shows, it is most likely that Jesus was declaring through the parable involving wineskins that the entire OC, although holy, good, and representative of the prophesied Messiah, would ultimately be incompatible in its original form with Jesus as revealed in the NC.